Delhi Capitals will host Chennai Super Kings at the Feroz Shah Kotla stadium with the aim to turn their fortunes in a fixture widely dominated by the MS Dhoni-led outfit. Having attained a perfect start with resounding victories in their first match of the ongoing Indian Premier League (IPL) campaign, Delhi Capitals and Chennai Super Kings (CSK) will take to the field at the Feroz Shah Kotla stadium in New Delhi. The fixture, which has been widely dominated by the MS Dhoni-led Chennai outfit is expected to be a close contest in the ongoing season because the Delhi side, bolstered by promising young talent, now possess a serious threat to their opponents – something that was evident in their match against the Rohit Sharma-led Mumbai Indians. Formerly known as Delhi Daredevils, the Delhi Capitals displayed their potential when they outclassed Mumbai Indians by 37 runs at the Wankhede Stadium. Whereas, the season opener featuring CSK and Royal Challengers at the Chepauk stadium in Chennai also witnessed a thrilling contest with the home side emerging victoriously following a dominant display, defeating the Virat Kohli-led side by an impressive 7-wickets. The match witnessed the saw Royal Challengers Bangalore (RCB) wind up for a lowly 70 – a target achieved comfortably by the CSK. Stars of the first match was a former Indian cricket icon and a young prodigy – Harbhajan Singh of CSK and Rishabh Pant of DC. The former rolled back the years to produce a sensational display (3/20) at Chepauk with a phenomenal three-wicket spell in the first game. The 38-year-old looked sharp and was on the button as he picked up big wickets of Virat Kohli, Moeen Ali and AB de Villiers. The latter, 21-year-old Pant, also registered his brilliant best to guide the Delhi Capitals to a 37-run win over Mumbai Indians. With his unbeaten knock of 78 off just 27 deliveries, Pant projected a solid proof of why he should be on the World Cup-bound plane to England. Following the win over RCB, Dhoni, in his post-match conference stated that Harbhajan would have a floating role and he will be played on and off depending on the conditions. Delhi will look to emulate their all-round display against Mumbai in a bid to get over their ghosts of the past – their opponents have a spell 14 wins in 16 matches played against them. Defending champs Chennai will also aim to pick up where they left and with their impressive record against the hosts, will head into the match as favorites. 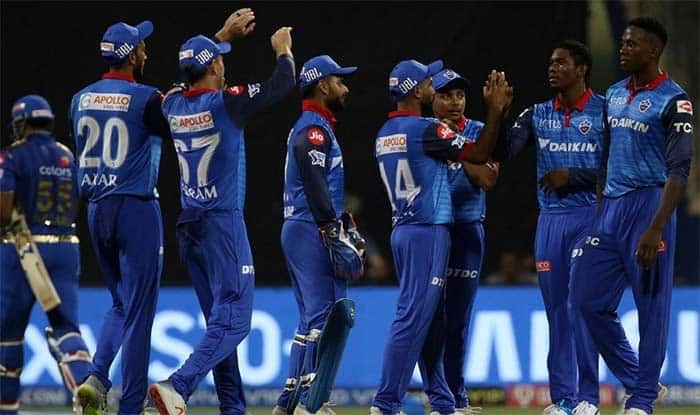 Delhi Capitals: Delhi Capitals: Shreyas Iyer (Captain), Rishabh Pant (wicketkeeper), Prithvi Shaw, Amit Mishra, Avesh Khan, Harshal Patel, Rahul Tewatia, Jayant Yadav, Manjot Kalra, Colin Munro, Chris Morris, Kagiso Rabada, Sandeep Lamichhane, Trent Boult, Shikhar Dhawan, Hanuma Vihari, Axar Patel, Ishant Sharma, Ankush Bains, Nathu Singh, Colin Ingram, Sherfane Rutherford, Keemo Paul, Jalaj Saxena, Bandaru Ayyappa.